Rudy Hartmann offers three suggestions on how to lead well when you are in a college minstry “plus” role in a local church. 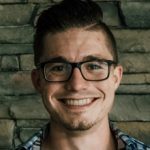 I was sitting with a church planter in Burbank, CA earlier this year enjoying a coffee and the company of a man a decade older and far wiser than I. I’d taken a few students to serve this church plant over Spring Break and had managed to slip away to ask a few questions and just learn from him. We were talking work/life balance, ministry stresses, and some of the nuances of our different contexts. He looked at me and asked me what exactly my responsibilities are — not tasks, responsibilities — and I proceeded with my usual broad answer of “Director of College Ministry, First Impressions, and Digital Communication, as well as special projects.” He asked if I was on any ministry teams, and I began to answer. Yeah, the bucket – you have different and sometimes unrelated responsibilities on your shoulders. It’s not a negative title — in fact, I was honored to be in any similar category as this guy. But it’s not easy – you probably know this by now. The bucket isn’t for sissies: it takes organization, leadership, and cross-discipline focus mixed in with the willingness and ability to learn a lot. I didn’t take it as an insult, I still don’t – I kind of enjoy it now. But it got me thinking – I’m definitely not the only cat in the College Ministry game that’s in this particular position. Affectionately known as “College Ministry, plus…”, one has to ask how you can step up into this position, be effective, maximize your time, work less than 90 hours a week, create margin, and improve, implement, and innovate. Not to mention, you probably have other stuff going on as well – family, seminary, etc. Everyone has to eat. Seriously, they’re going to eat. Probably three meals a day, and college students are almost all on that fourthmeal grind. I recognize that I also have to eat – so I leverage the lunch. And the breakfast. And the dinner. Each week, I try to fill at least 10 of the 15 slots that Monday-Friday provides for meal meetings. I don’t lose any time to these meetings, I do exactly what I would do at them anyways — namely, eat — and it gives me an opportunity to invest in the student. I also get 10-12 hours that would have been late night or mid-day (which are my hot hours) to work on things that require limited interruptions. What could you do with 10-12 hours back? You’ve heard this term delegation, in fact it’s been written about here on the Collective. I won’t rehash it in full, and just say this: Irresponsible delegation is relegation, and relegation will require more time and energy from you in the end than proper delegation would. Proper delegation doesn’t mean micro-management, but it does means taking the time to effectively communicate, train, send, and check in. If they can do it 80% as well, I can hand it off knowing they’ll get where they need to be soon enough. The check-in part is huge and often ignored or poorly executed. No matter how many times someone says yes or repeats back to what was said in a meeting, no matter how many docs you send them, how many notes they took – delegation requires investigation. Relegation spins the top and let’s it turn and turn until it topples. Delegation that has established, agreed upon check-in points builds in guardrails to make sure the top doesn’t topple, and shows your support and willingness to help your leaders. Right now, I’m training people so I can delegate some aspects of social media and in-service photography to them – it’s a process, and they’re volunteers, but the goal is to give the responsibility away without anyone feeling a gap. One of my mentors, Rahul Agarwal, taught me this a few months ago. If you have your hands and feet busy balancing a plurality of plates, eventually you’re going to have to put one down. You have to decide who you’re going to disappoint. Inevitably, something will get missed. Something won’t get done. It might not even be your fault, but it’ll happen and you’ll take the bullet for one of your leaders — or for someone else on staff. If you decide in advance, it’s not a reaction, it’s a resolve. Obviously, the goal is not to disappoint anyone, but when crafting your daily and weekly list, that can become a determining factor in ordering priority. To trade what’s good for what’s great, there will be a cost. Choose to pay it in advance, rather than on the spot. You can be the bucket, and not kick it. I know it feels like a lot, and that’s because it is. But you can build in background work, you can build in margin, you can delegate, you can improve, implement, and innovate. You wouldn’t be where you are if your boss didn’t think you could handle the responsibility – and never forget Who opened the door, and Who put you where you are. He who promised is faithful. Be the bucket, and do it well.